The bedrooms are on the 2nd floor and the living / kitchen area is on the top floor. Five balconies including two that are gulf side, extra wide for extra living space. Built in 2016. Over 2,600 square feet of heated living space. Quiet neighborhood. Approximately ten to eleven houses. Elevator access available upon request. Community Pools is so convenient! It is directly across the street from the end of our driveway. The beach sand is less than a three minute walk from our driveway. Still Standing Tall: This photo was taken on November 11, 2018, one month after Hurricane Michael. 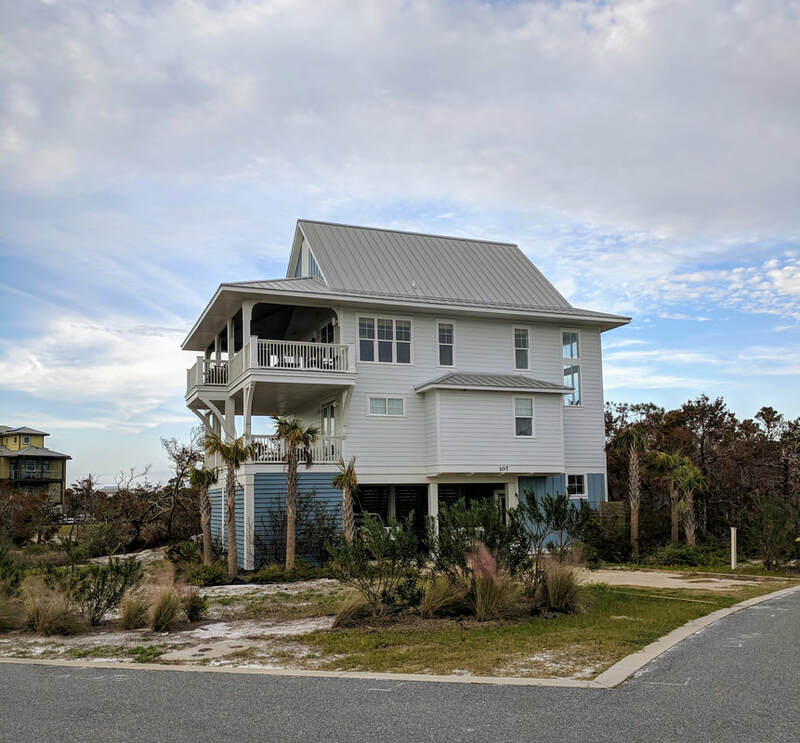 Built to withstand hurricanes, The Craigs' Coastal Cottage is ready for you! For recent reviews click here.